When I first saw the ads for the film Hunger Games I was pretty appalled. Hunger should not be the topic of a violent reality game show, even in a dystopian future. So I read the book, despite my 10 year old son telling me that all the kids in his class had already done so. The book is clever. It is one of those stories that different people can read into it what they want to. For some a love story, others an action flick, others a tale of survival, others a warning of what the future might bring. For me the book was all that, but the theme of hunger really does run strongly through the tale. The protagonists spend an incredible amount of time on food: thinking about it, looking for it, conserving it, plotting over it and, of course, doing without it. If it gets kids in Europe and North America taking food less for granted, then that can't be bad. The book is also a reminder that hunger is created. Not by games, but but by the rules of the game. Hunger is caused by lack of political representation, weak rights to land and water, technology that does not reflect the needs of the most vulnerable, gender discrimination and financial systems that will not take risks on the poorest. These rules of the game are the outcomes of power asymmetries and they are all stacked against the poorest and most hungry. That is why we at IDS are doing so much research on practical ways to create a more enabling environment for hunger and undernutrition reduction. 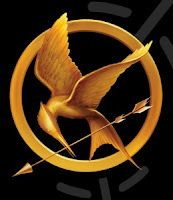 It is the hunger rules that need to be contested, not the hunger games. So, no big surprise, Jim Yong Kim is the new President of the World Bank. You can hear me wittering on about it at this BBC World Service link. Reactions: Ngozi Okonjo Iweala and Jose Antonio Ocampo have, I believe, changed the selection process for ever. Will it be a meritocratic process in 5 years time? Maybe, but I predict we will at least have a public airing of candidates' vision of development, vision for the Bank and what they would do to realise the latter to contribute to the former. Ngozi said that such a process would be fairer for the developing countries, but it is also fairer for everyone. My colleague Naomi Hossain has just released a World Bank published book "Living Through Crises" with Rasmus Heltberg and Anne Reva (see here for a free copy) which documents how the crises of the past 5 years (food, fuel, financial) have affected the very poorest throughout the world. The world has a huge stake in the World Bank's management of these crises and we should all have a voice. What of President Kim? The Guardian Development pages will be running a feature on what various people think his priorities should be. "The new World Bank President should focus on the quality of growth. He should promote the view that growth is not necessarily good and not necessarily bad. They should instead set goals for what growth must achieve. How can we get growth that reduces poverty, creates jobs, uses natural resources sustainably, and does not breed corruption? That will mean more of an emphasis on the governance and politics of growth. 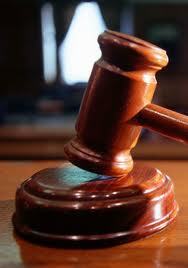 In turn that will require a better balance of disciplines represented on the Bank’s professional staff. The President should also lead the charge to change the way future Presidents are appointed. The current system makes mockery of meritocracy and is hypocritical in the extreme." Interestingly on his interview with BBC Kim said his number one priority was growth that delivers jobs and reduces poverty. OK, good, this is the same priority as stated by Ngozi Okonjo Iweala, but what ideas does he have for the Bank to make this more likely? 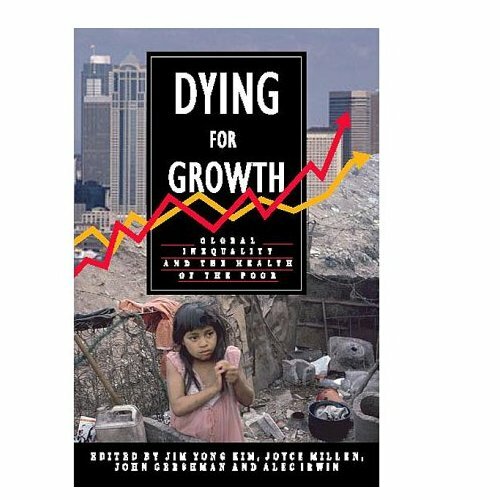 His book (he is lead editor), Dying for Growth, lays him open to the charge from people like Bill Easterly that he is anti-growth. As I have often argued in these pages, growth is not a cure-all and an absence of it is not a kill-all--it depends on what the growth does. Growth is a potential means to an end. If it delivers jobs while not wrecking the environment and not fuelling corruption, then wonderful. The difficult bit is figuring out how that kind of high quality growth can be generated. A good first step would be to measure it. Will President Kim be a breath of fresh air or a flop? We all hope for the former. "experience in government, in economics and in finance (it is a bank, after all). He or she should have a broad record in development, too. 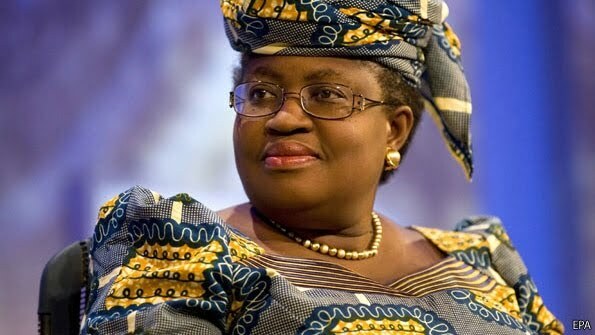 Ms Okonjo-Iweala has all these attributes, and Colombia’s José Antonio Ocampo has a couple. By contrast Jim Yong Kim, the American public-health professor whom Barack Obama wants to impose on the bank, has at most one." I tend to agree with the attributes put forward and with the newspaper's stated preference (although I am biased in that I have interacted with Ngozi, but not the others). In a related post, my fellow blogger and researcher, Michael Woolcock a Bank staffer, posts an interesting piece on the Bank Chief Economist's website about competing visions of development. For straw man purposes he outlines Big and Small development visions. Big development is more worried about getting the systems right so that the right outcomes can be produced sustainably (productivity growth, a political system that reflects the wishes of its citizens, equal rights for all, and administrative principles that are transparent, accountable and meritocratic). Small development is more worried about the outcomes of different groups in the here and now and less about medium term goals of building systems. "These two visions of development are not incompatible...It is the task of the future president.... to harness the strengths of both approaches while recognizing and mitigating their real weaknesses." To this end I think it a real shame that Ngozi's call for televised debates to lay out the candidates visions for development and for the Bank's role in that were not accepted by the other candidates. In that same interview, Ngozi states that job creation, with a strong fix on youth, would be her number on priority. That focus on youth and on jobs is refreshing: that is the kind of leadership the development world needs. The above report was published on March 20. Here are my reactions to the abstract. Disclaimers: (1) I have only read the abstract, not the entire report and (2) IDS is a recipient of DFID funding. My comments appear in italics after LH. There goes the knighthood. One in five of the world's population still lives on less than $1.25 a day. This poverty is a source of great human misery, and, if effective ways can be found to reduce it which are acceptable to the taxpayers of the developed world, then reduce it we should. This report is about development aid, and how effective it has been in promoting development and poverty reduction in recipient countries. It examines the Government's plans for a real terms increase of 37% in official aid spending in the four years to 2015. The report does not address humanitarian aid for relief of acute distress following conflict, famine, natural disasters or other emergencies, which is less than 10% of official aid spending. ▪ Economic growth is essential if poverty is to be reduced. There is however no agreement amongst experts as to the effectiveness of development aid in promoting growth. Estimates vary from those which suggest that development aid has added about 0.5 per annum to growth in recipient countries to those which suggest that it has had no positive, or indeed negative, effect on growth. LH: Well, this is a House of Lords Economic Affairs Committee, so we should expect them to focus on economic growth as the route to poverty reduction. I disagree with the statement that economic growth is essential if poverty is to be reduced. Some kinds of economic growth are essential. The kind that generates wealth for the top 10% doesn’t do much for poverty reduction. The kind that is the result of plunder of natural resources does nothing for those living in poverty. The kind that wrecks the environment and accelerates global warming does not do anyone any favours in the medium term. This lack of nuance about economic growth is truly worrying and for me puts the credibility of the entire report under the microscope. And estimates will vary about the effectiveness of aid on growth, because growth is not always the key constraint to poverty reduction and aid is working through other routes to reduce poverty. ▪ There is far from universal agreement amongst experts as to what the aim of aid should be. Should it be to maximise economic growth? Should it be to have the maximum effect on poverty? Or should it for example be a tool for ensuring that values such as human rights are spread more widely, or for combating climate change? These objectives are not necessarily in conflict but they do complicate the design of aid policy. LH: This really surprises me. Nearly every development agency has poverty reduction as its number one goal. This is a real consensus. Sure, we quibble about how to define poverty (money metrics, multidimensional measures, perceptions data etc.) and about the best way to reduce poverty (there must be 1000 different things that can be done) but not about the goal of reducing poverty. ▪ There is little agreement amongst experts as to what forms of aid are the most effective. For example, some of our witnesses thought it important to promote foreign direct investment. Some thought that technical assistance was central while others were keener on large-scale projects designed, for example, to combat disease. Different arguments were advanced for project-based aid, for governmental budgetary support and for large scale infrastructure investment. LH: This “little agreement” is a recurring theme throughout the report summary. This can be used to portray the aid community as a headless chicken, divided on what to do, but I believe it simply reflects the fact that context matters. In one context, capacity will be the limiting constraint, in another health services, in another infrastructure. There is no generic recipe for poverty reduction, only a long list of ingredients that have been shown to work in some places and at some times. This is where the skills of the politicians, technocrats and civic leaders come into play—in forging alliances that get the balance of politics, capacity and policy right to reduce poverty in their own time and place. ▪ There is disagreement among experts as to what is the best way to channel aid. Some argue for multilateral aid on the grounds that it is better for delivery of large-scale development assistance and reduces the number of different donors which aid receiving countries need to keep informed and involved. Others believe that multilateral aid, including aid through the European Union, can be wasteful and that national aid, at least so far as the UK is concerned, is better controlled. Some emphasise the benefits of channelling aid through NGOs and civil society organisations; others emphasise that such organisations can lack scale, and that competition between them can undermine aid, for example by tempting them to make concessions to corrupt governments to preserve their programmes. LH: I would agree with this. Each route has its strengths and weaknesses, and a diversity of approaches seems the least risky. More evidence here would be very welcome. ▪ There is also disagreement amongst experts as to whether aid should focus on those countries where poverty is most acute—often "failed" or "failing" states—and those who believe that, without better governance, aid will prove a waste of time or worse. LH: Yes, agree with this too. We need more evidence to tell us when £xm of aid spent in a fragile context lifts more people out of poverty, sustainably, than £xm of aid spent in a non-fragile context. Notice I say when, not whether. There are no universal answers: disagreement is not a bad thing. There is disagreement amongst experts as to whether aid is a tool enabling donor countries to combat corruption and bring about internal peace, or whether it tends to feed corruption and sustain damaging internal conflicts. We are however pleased to report that expert opinion is virtually united in agreement that DFID enjoys an outstanding reputation internationally as an effective aid agent. It has refined the Government's approach to aid over a number of years. 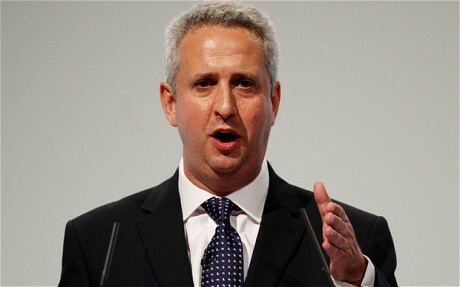 Now, under an energetic Secretary of State, it is taking direct action to deal with points made by aid critics by for example, increasing its emphasis on promoting private investment and on containing unrestricted budgetary support. LH: At risk of sounding like a broken record, it depends on the context. But if there are no internal champions of reform, no matter how few, I believe that aid cannot change the governance dynamic. Aid might be able to support the emergence of these champions but that is a 15-20 year business. We do make recommendations designed to improve DFID's performance further. In particular we fear that, sometimes, it is pursuing various good objectives—helping fragile states, zero tolerance of corruption, cutting staff numbers—that are likely to prove mutually incompatible. LH: I have written on these pages before, that (a) having a bigger impact on poverty while (b) working in more fragile contexts with (c) a bigger budget and fewer staff is an awfully tall order. I hope I am proven wrong. We have not sought in this report to reconcile all these different arguments. We have sought to form a balanced view of aid, which recognises its strengths and weaknesses. And, in particular, we have sought to apply that view to reach a sensible verdict on the future of Britain's aid programme so as to ensure, to the maximum extent possible, that it does what taxpayers expect of it: make people in the least developed countries less poor and less miserable. LH: Agree, but the comparisons may be overstating the case a little. Aid, unlike private capital flows, has an explicit poverty reduction goal. LH: Agree that aid can play a catalytic role in bad growth and in good growth. We need to get beyond "growth is good" to "some growth is good and some is not". LH: Yes, contribution to growth, perhaps, but contribution to poverty reduction, no. LH: agree. But any resource flow has the power to corrupt—it is all about the governance. LH: Don’t really understand this paragraph, other than to convey the idea that we need to think about aid exit strategies. This is about the only thing I agreed with in Dambisa Moyo’s book. LH: Actually I would say behavioural psychology experts (to set up incentives that deter rent seeking in the first place) and civic leaders (to help make the quantity and quality of delivery more transparent) might be more important than the accountants, who definitely have a role to play, but not a lead one. LH: At the risk of repeating myself, the growth-poverty elasticity varies tremendously depending on (1) initial inequality, (2) sector of growth, (3) externalities generated and (4) governance of growth. Growth is not a cure-all. And an absence of certain types of growth is certainly not a kill-all. LH: The last sentence should apply to all aid and indeed to all public financing. LH: I would like to see a greater overlap of foreign policy and aid policy, but which policy circle should move the furthest depends, it seems to me, on the circumstance. LH: I believe the report has made this position abundantly clear. But what would you expect an Economic Affairs committee to say? I actually think the committee’s report argues for poverty reduction though improved governance as the main aim of aid policy. LH: I also agree with the increased focus on a smaller set of countries. Aid flows are small and can be spread too thinly. LH: Is it really the central plank? It is one way of assessing the commitment of the UK government to international development, and perhaps the most transparent way, but it is not the central plank. It is important to get a balance of targets on inputs, outputs and outcomes. If it is all inputs and outputs aid becomes a bureaucratic exercise, but if it is only outcomes, then it becomes an exercise in claiming too much credit when things go well and avoiding blame when they do not. Accountability is maximized when all three are assessed and linked. LH: Possibly, but not having an input target would surely weaken the attribution story on outcomes. We need both. d) reaching the target increases the risk identified in Chapter 4 that aid will have a corrosive effect on local political systems. LH: depends where it is spent, how, who, when etc. LH: I think we would all agree with this, and I am sure DFID think they are doing the former and not the latter. LH: tough one this. I would like to see the 0.7 enshrined in law, but the timetable does look like it will require a very large step increase in spending to achieve it and this may well be self-defeating politically and practically. The SoS has gotten himself in a bit of a box on this one. My sense is that as long as good progress is made towards 0.7 then the community will not be too hard on him, but I am probably inviting a stream of invective for even suggesting this. LH: Yes, with the proviso that value for money does not = low cost. LH: I am sure DFID will look at this in light of its refreshes of these aid reviews. LH: I doubt this. From what I have seen in Bihar, it will act as a spur and encouragement. LH: I don’t know what the evidence says here. LH: Agree that a better balance of public and private sector expertise will be helpful, but we must not run the risk of lionizing the private sector. Many NGOs achieve miracles on shoestring budgets—achieving value for money ratios that big companies could only dream of. LH: Yes, and be equally robust in monitoring the proper use of funds by the private sector. LH: If the focus groups say this helps shore up the UK taxpayer base, then OK.
LH: Bit of a thin-end-of-the-wedge one here. I suppose there don’t have to be tradeoffs, but I suspect any moves in this direction would end up shortchanging recipients. LH: Agree. Would like to see the evidence that suggests this can be reconciled. LH: I’m not an expert in this area, but other UK Government departments with big benefit budgets show fraud levels of 1-2% and so we should not be surprised at fraud and corruption levels of £70-80 million (on £7-8 billon), although they should never be tolerated. LH: Quite, who is the watchdog for the watchdog?